These Jeff Gordon NASCAR bottle holders are constructed from 3 mm neoprene "wetsuit" rubber, and will hold a longneck bottle. They are designed to keep your favorite beverage COLD... and your hands WARM! The full glued-in bottom means your beer won't drip on you! The neoprene construction and the zipper makes it easy to remove the bottle from the holder - no pliers needed. It’s stretchable, washable and foldable. Made by Kolder. 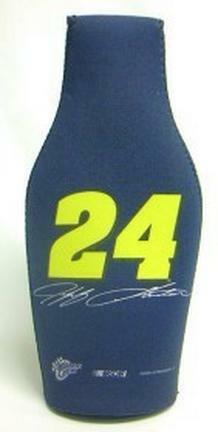 You found Jeff Gordon #24 Bottle Suit Holders - Set of 4 in category Teamware / Logo and subcategory NASCAR FanShop. 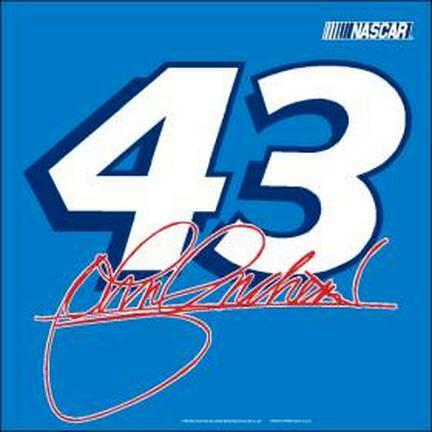 If you need to buy more NASCAR FanShop than you are on the righ place. What a great way to show who your favorite driver is... on your car! This easy to attach car flag has vibrant colors and features John Andretti's NASCAR number on both sides! The flag itself is 11" x 15", and the pole is 20" long. Made with a sturdy nylon.NOTE: Logos are subject to change without notice. If you are in need of a specific logo, call our Customer Service department for further assistance at 800-856-2638. These Tony Stewart NASCAR bottle holders are constructed from 3 mm neoprene "wetsuit" rubber, and will hold a longneck bottle. They are designed to keep your favorite beverage COLD... and your hands WARM! The full glued-in bottom means your beer won't drip on you! The neoprene construction and the zipper makes it easy to remove the bottle from the holder - no pliers needed. It’s stretchable, washable and foldable. Made by Kolder. What a great way to show who your favorite driver is... on your car! 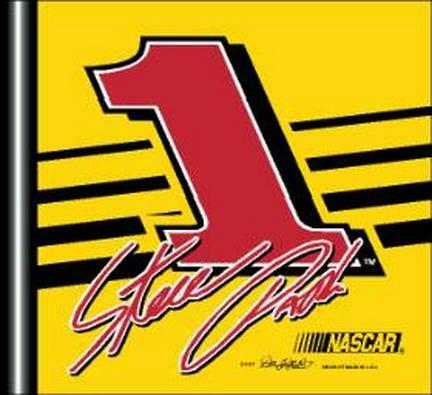 This easy to attach car flag has vibrant colors and features Steve Park's NASCAR number on both sides! The flag itself is 11" x 15", and the pole is 20" long. Made with a sturdy nylon.NOTE: Logos are subject to change without notice. If you are in need of a specific logo, call our Customer Service department for further assistance at 800-856-2638. What a great way to show who your favorite driver is... on your car! 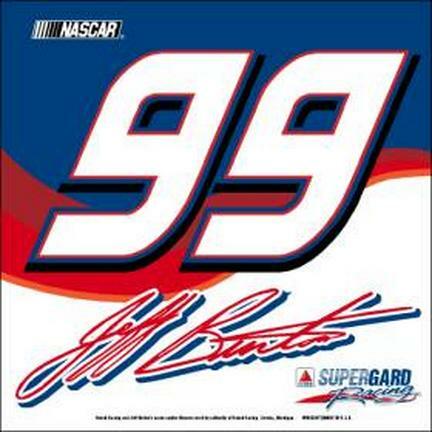 This easy to attach car flag has vibrant colors and features Jeff Burton's NASCAR number on both sides! The flag itself is 11" x 15", and the pole is 20" long. Made with a sturdy nylon.NOTE: Logos are subject to change without notice. If you are in need of a specific logo, call our Customer Service department for further assistance at 800-856-2638.